In the wake of the U.S Supreme Court’s landmark decision to declare unconstitutional the fees Illinois and other states forced non-union public sector workers to pay to unions, ostensibly to cover the costs of representing them, lawyers who focus their practice on contract negotiations and other labor issues said the legal and political landscape will undoubtedly change. But precisely what will change, and how and when those changes will roll out, remains anybody’s guess at this point. “That’s the $64 million question we’re all struggling with,” said Lisa Vickery, an associate attorney in the Portland, Ore., office of the firm of Fisher & Phillips. On June 27, in one of the most anticipated cases of its most recent term, the U.S. Supreme Court came down 5-4 in the case docketed as Janus v American Federation of State County and Municipal Employees, in favor of plaintiff Mark Janus, a non-union Illinois state worker, who had sued to stop the state of Illinois from deducting more than $500 per year from his pay to pay to the union in the form of so-called “fair-share” or “agency shop” fees. The fees, assessed to all non-union public sector employees working in a labor unit represented by a union, had been upheld for more than four decades under the Supreme Court’s 1977 decision in Abood v Detroit Board of Education. The unions had asserted the fees are needed to address the costs of representing all workers in a labor unit, as required by law, and eliminate “free riders,” seeking to take advantage of union bargaining, representation and other benefits, without paying into the system themselves. However, the majority in the Janus decision sided with the plaintiffs, who had asserted the Abood court had incorrectly found the U.S. Constitution allowed the compulsory payment of the fees. In reality, the majority ruled in Janus, the agency fees violated the free speech and association rights of the non-union workers, as it essentially compelled the non-union workers to subsidize the political activities and political speech of the union, even if the non-union workers may disagree with the union on a number of political topics. While the law prohibited unions from using such fees for political advocacy, Alito noted unions have used any number of methods to justify their use of the money, including spending it on “lobbying” activity the union claimed benefits all workers. “That formulation is broad enough to encompass just about anything that the union might choose to do,” Alito wrote. “We’re making certain that every union member knows the real intent of this case is to defund unions, then drive down wages and benefits of public service workers. We're not going to let that happen,” she said. 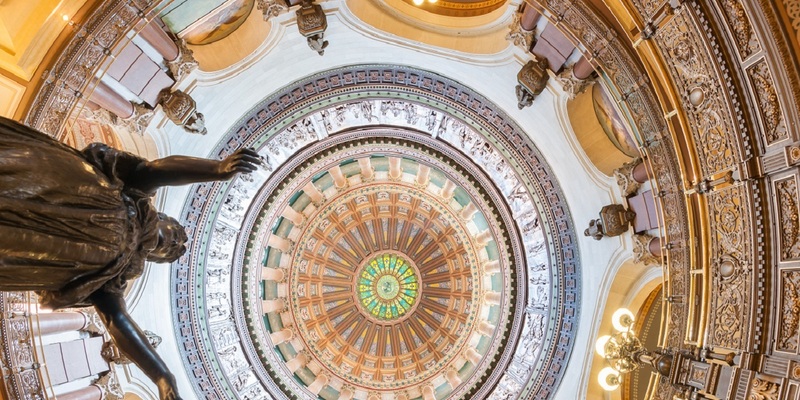 In the immediate aftermath of the decision, however, governments, like the state of Illinois under Rauner, ended the collection of the “fair share” fees immediately. The state also distributed to all employees a notice of the decision, and offering them the opportunity to leave the union, should they wish to no longer pay dues or fees. However, what lies ahead in coming weeks and months, and likely even years, is much less clear, said Vickery and attorney Andrew Grossman, a partner at the firm of Baker Hostetler in Washington, D.C.
“We are going to see squabbling, and litigation, over these questions, “ Grossman said. Off the top, Grossman said he would advise public employers to minimize their risks in getting dragged unnecessarily into litigation over the collection of fees. He said “smart, well-advised public employers” would be wise to cease collecting fair share fees immediately from all non-union workers unless they have collected “clear and unambiguous consent” from an employee to collect fees to pay to a union. Vickery predicted litigation likely will land soon in the courts over how exactly a public employer can determine that question, and what role the unions may play in determining what such consent may look like, and what limits unions and employers can place on employees’ abilities to stop payment. For instance, union contracts may limit such revocation rights to a particular timeframe, such as 10 days on the anniversary of the collective bargaining agreement, Vickery said. “There is going to be litigation over whether Janus renders revocation windows like that illegal, as well,” said Vickery. Vickery indicated public employers could also risk lawsuits from unions should they veer more strongly in the direction of helping employees leave a bargaining unit. But she said the major liability risk for public employers remains the possibility of being sued for continuing to improperly deduct fees from workers’ paychecks, even after the Supreme Court declared those fees illegal. Already, for instance, the U.S. Supreme Court has directed the U.S. Seventh Circuit Court of Appeals in Chicago to take another look, in light of the Janus decision, at whether a group of non-union home personal care assistants should be able to sue the union and the state of Illinois to claw back some of the $32 million in “fair share fees” their lawyers estimate the state improperly deducted from their checks from 2008-2014. The appeals court had ruled in 2017 the union could keep the money, because it had relied on state law to believe the fees were legal. Vickery said similar lawsuits may pop up in other jurisdictions, as well – though she doubted how effective they may be. “We’re sort of in no-man’s land here,” Vickery said. The ripples from the Janus decision, however, will likely produce a host of other consequences, Vickery and Grossman said. They noted unions have already begun pushing back against the ramifications of the decision, as some begin to step up recruitment efforts, and others seek to overturn legal requirements dictating unions represent all workers in a labor unit, whether they pay union fees or not. Earlier this year, for instance, the Union of Operating Engineers Local 150 filed suit in Chicago federal court, seeking to overturn precisely those requirements. The lawsuit asserted the speech rules laid out in Janus should cut both ways: While they may liberate non-union workers from paying fees to unions they oppose politically, they should also liberate unions from having to speak on behalf of workers who don’t wish to associate with a union. 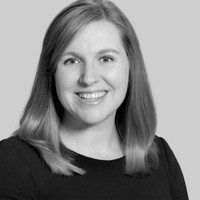 Along with such legal challenges, Vickery said she anticipates some unions will also seek to slap fees on non-union workers, should a worker, for instance, invoke grievance or arbitration protections from a union under a collective bargaining agreement, or seek to take advantage of other benefits under such a contract. “They’re going to say, ‘Why should we be trapped in expensive arbitration and litigation for these workers?’” Grossman said. Vickery noted a number of states either already have or could also boost union recruitment efforts by granting union representatives special opportunities to pitch union membership to new public sector employees during orientation. She said in states controlled by the Democratic Party, in particular, employees should expect union allies in state governments to assist unions in “bringing pressure to bear” on workers to sign the union cards. The reason, Vickery said, is simple: In the wake of Janus, union membership and funds are both expected to decline, resulting in a loss of leverage, not only in contract negotiations, but in politics, as well. “It’s going to be interesting to see what this means for unions’ roles in the political realm, and in the Democratic Party,” Vickery said. “Everyone will be watching to see how unions can maintain their power and leverage, and organize and grow their membership.